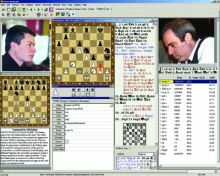 TCEC – the Top Chess Engines Championship – is a major international chess software championship with the top engines playing on powerful servers at long time controls. After crossing the 1 million page-views mark last season, and being on track to double that this year, TCEC is now bringing the competition to the next level. Starting with its 11th season in early 2018, TCEC will adopt a league format consisting of four divisions of eight chess engines. The five divisions will be called the Premier, First, Second, Third, and Fourth Divisions. Each division will conduct a tournament which will lead to the top two engines in the Premier Division facing off in a 100-game Superfinal for the TCEC seasonal championship. The league’s mechanics are straightforward. Divisional tournaments will be conducted in sequence from the lowest (Third Division) to the highest (Premier Division). At the end of the Third, Second and First Division tournaments the top two finishers will be promoted to the next-higher division. At the end of the Second, First and Premier Division tournaments the bottom two finishers will be relegated to the next-lower division. The top two engines of the Premier Division will qualify for a Superfinal, which will consist of 100 games. The winner will be the season’s Grand Champion. 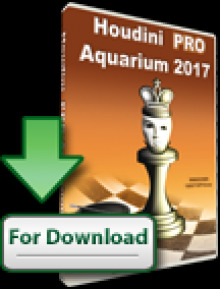 Fourth Division engines not qualifying for promotion are not guaranteed a place in the next season and may make way for a new crop of chess engines in the following season that are in development and meet basic standards. With this new format TCEC will transition to a rolling championship, with each cycle completed in approximately 3 months time. Each season’s outcome will reflect the relative strength of the participating engines. * 30+10 time control, average game 1 hour in duration. * Subsequent roster: bottom two engines from previous Third Division competition + six invitees. * In S11 the top four finishers qualify. In subsequent seasons top two finishers advance to Third Division competition; bottom six finishers dropped from roster. * Selected openings of varied length. Openings change each season. * Top two finishers advance to Second Division competition; bottom two are relegated to Fourth Division. * 45+10 time control, average game 1.5 hours in duration. * Subsequent roster: 3rd-6th finishers in previous Second Division competition + bottom two engines from previous First Division competition + two promotions from Third Division. * Top two finishers advance to First Division competition; bottom two finishers relegated to Third Division. * 60+10 time control, average game 2 hours in duration. * Initial engine roster: 7-8th place finishers from Season 10 stage 2, plus 9th-12th finishers from Season 10 stage 1 + two promotions from Second Division. * Subsequent roster: 3rd-6th finishers in previous First Division competition + bottom two engines from previous Premier Division competition + two promotions from Second Division. * Top two finishers advance to Premier Division competition; bottom two finishers relegated to Second Division. * 4x double round-robin (engines play each other 8 times); 56 games each engine, 224 games total. * 90+10 time control, average game 3 hours in duration. * Initial engine roster: 1st-6th place finishers from Season 10 stage 2 + two promotions from First Division competition. * Subsequent roster: top six finishers from previous Premier Division competition + top two finishers from First Division. * Top two Premier Division finishers advance to Superfinal competition; bottom two finishers relegated to First Division. * 6x double round-robin (engines play each other 12 times); 84 games each engine, 336 games total. Currently Stage 2 of Season 10 is being played. It will be followed by a Superfinal and additional rapid and blitz stage (see press release here). Season 11 will start soon after that. Final preparations will be completed during the rapid and blitz competitions. TCEC has always striven to guarantee fairness and equal conditions to all participants. TCEC’s existing rules, the product of ten seasons of competitive experience, will stay in place for future seasons of the Top Chess Engine Championship. 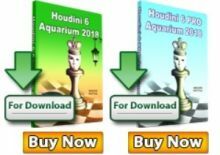 For more on the Top Chess Engine Championship, visit the official website where you can talk live to the engine authors, experts in the chess software field, and experienced fans.